Provides the right knowledge to win the battles of life. A sure guide to success and happiness in life. Two slokas per page, along with their meaning are presented on each day and each of the 18 Chapters are each presented with a brief Introduction at the beginning. 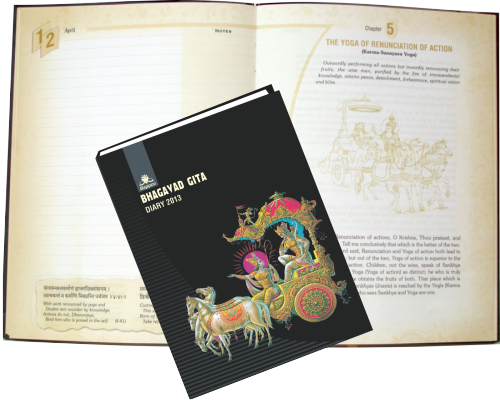 Just ten minutes a day can help one cover the entire Bhagavad Gita in just one year. Let Gita be your constant companion, teacher and Guru, solace and support.